Through this experiment, more dynamic aspects of the projections were examined. Instead of projecting a still image, an animation was projected on the 3D object. 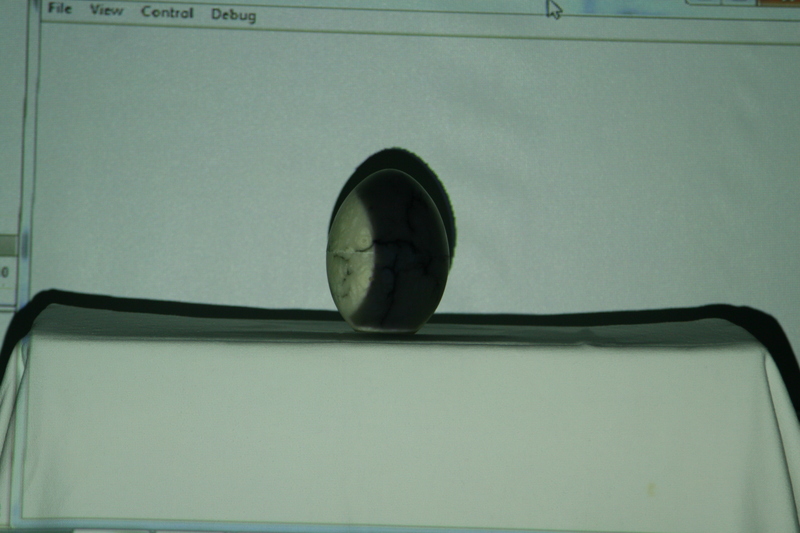 The marble egg was used and two animations which were developed in Flash, were projected on it. The first animation was a red layer which covered the egg. The projection was scaled in order to match with the actual size of the egg. The second animation was a blue layer which covered the egg. Here, the layer was a rotation from left to right in order to add another element of movement. It has to be mentioned that the first animation included a picture of the actual setting of the egg with its background, while at the second animation the blue layer was projected alone.